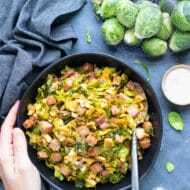 Bacon Wrapped Asparagus is a low-carb, keto, and healthy side dish recipe that is great for weeknight dinners or as a Thanksgiving Day vegetable dish! 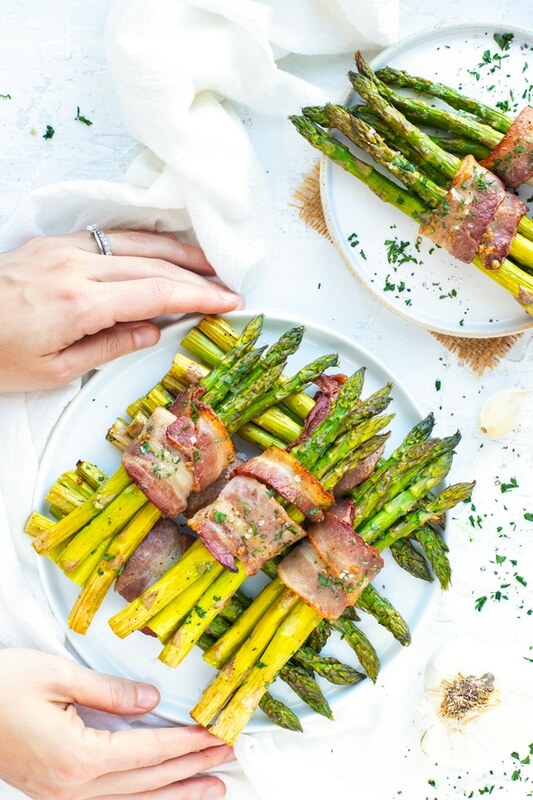 Learn the ingredients, tools, and techniques that will teach you how to make bacon wrapped asparagus that turns out perfectly every single time! 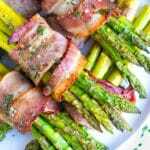 Bacon Wrapped Asparagus Recipe Takes It Up a Notch! Long gone are the days of turning up your nose at a can of asparagus. Fresh asparagus that has been wrapped in bacon and then cooked to crispy perfection in the oven will make you sing a different asparagus tune! 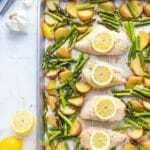 Not to mention, the buttery-garlicky-slightly-sweet goodness of a sauce that gets slathered on top before the bacon wrapped asparagus is cooked in the oven. 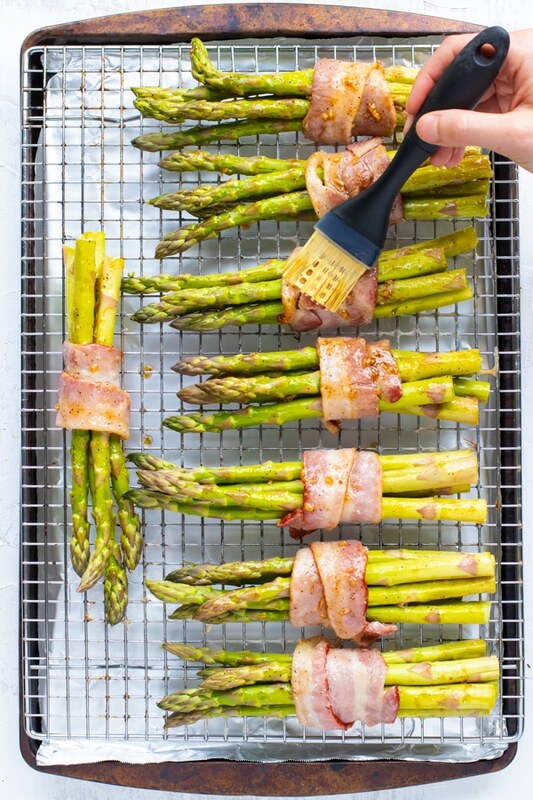 Yes, this bacon wrapped asparagus is pretty much what side dish dreams are made of… and they’re actually SUPER easy to make! 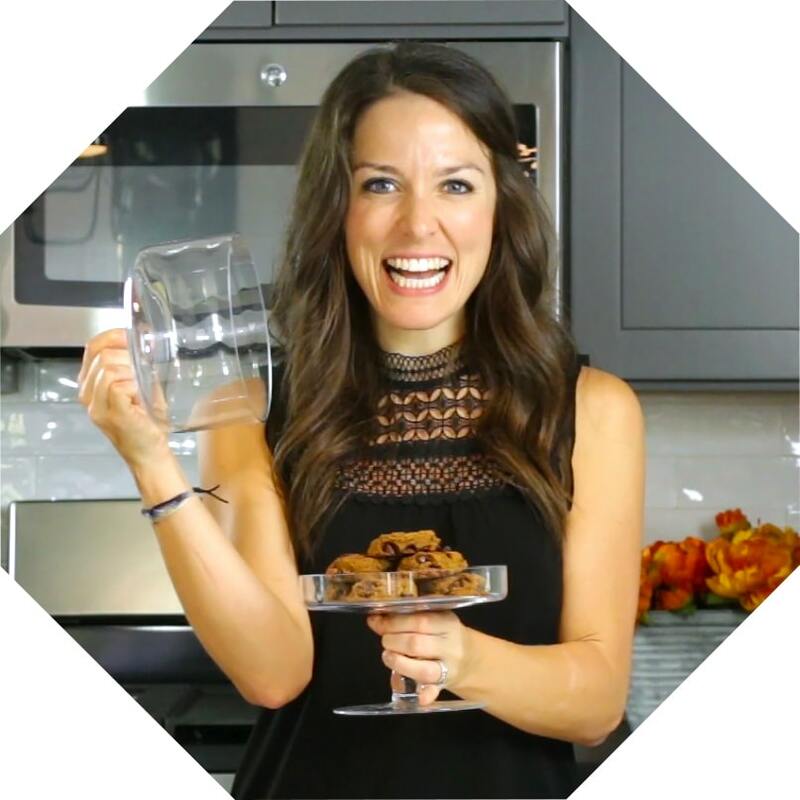 So let’s dive into whether you should cook your bacon wrapped asparagus in the oven or on the grill, how to make bacon wrapped asparagus, what ingredients and kitchen utensils you will need, and the health benefits of asparagus! 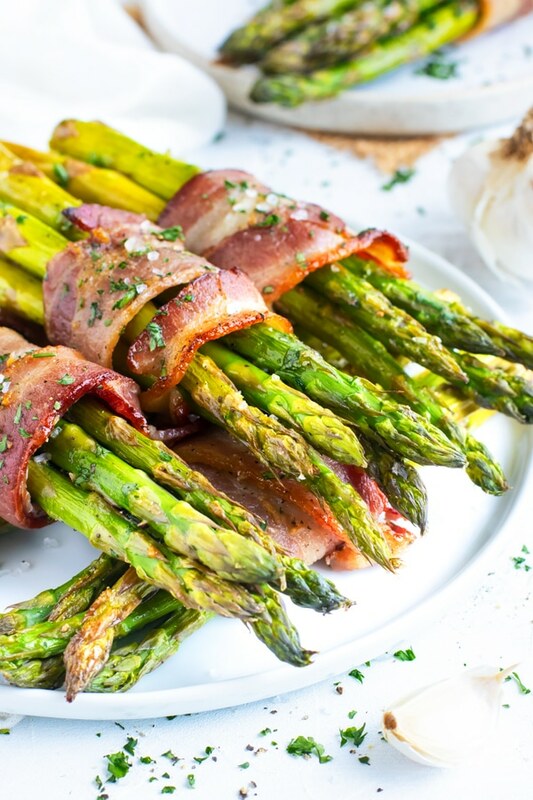 Bacon Wrapped Asparagus – Oven or Grill? Have you ever baked asparagus in the oven? It is the ULTIMATE way to cook asparagus. 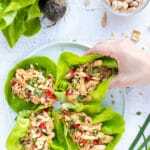 It gives the slender green vegetables crispy edges and perfectly tender stalks. While yes, the grill can turn out some awesomely charred bacon wrapped asparagus, the oven can give you pretty similar results with just a few tweaks to the recipe. Learning how to cook bacon wrapped asparagus in the oven is actually a rather simple process. Bacon – “Uncured” bacon is preferred since it has no added chemicals such as nitrates or nitrites. Asparagus – the larger the stalks the better. Bacon takes quite a long time to cook, so picking asparagus that will take a little longer, too, will result in bacon and asparagus that are cooked to perfection. 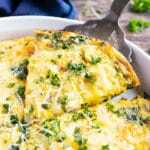 Butter – Since the butter is the base of the sauce, pick a good butter such as Kerrygold or Pflugra. If you are dairy-free, choose a vegan butter stick such as Earth Balance. Garlic – Fresh garlic is key here! 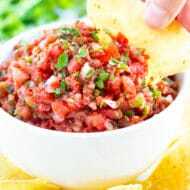 Try not to substitute garlic powder for the garlic cloves. Coconut sugar – Honestly, any granulated sugar will work and will only have minimal changes to the overall taste. If you do not have coconut sugar, feel free to use brown sugar, white sugar, cane sugar, or stevia powder if on a keto diet. 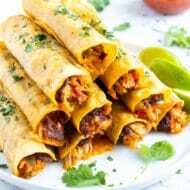 A large RIMMED baking sheet – Having a sheet with a rim is essential to ensure no bacon grease slides off and sets off the smoke detector. Also, you’ll want to make sure your wire rack and bacon will fit on the sheet. A wire rack – this is the best way to get perfectly crisp bacon without a ton of mess! 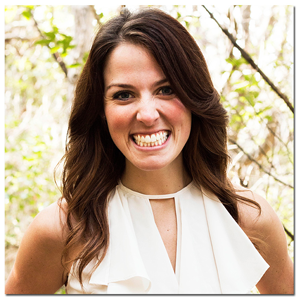 Aluminum foil – another piece of the puzzle to make cleanup a breeze. 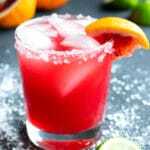 Basting brush – a silicone basting brush is my personal preference since the bristles do not fall out. If you still want to make this bacon and asparagus recipe but do not have all of the utensils above, no worries! You can always par-cook your bacon in the microwave or on a baking sheet without the wire rack. 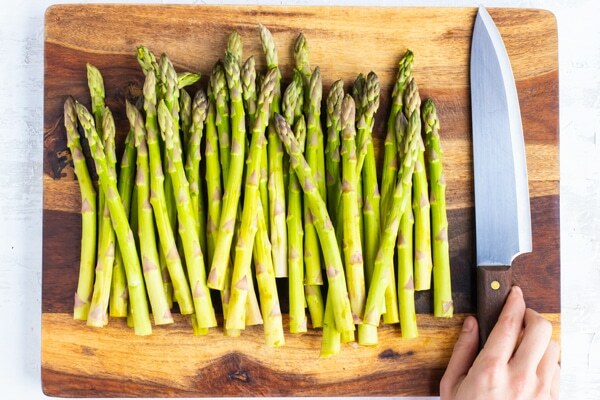 Asparagus is extremely low in calories with only 20 calories per half cup serving. 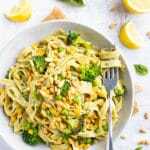 Asparagus is high in antioxidants, particularly flavonoids, that have anti-inflammatory, anti-cancer, and antiviral effects. A half cup of asparagus has 2 grams of dietary fiber which will aid in digestive health. 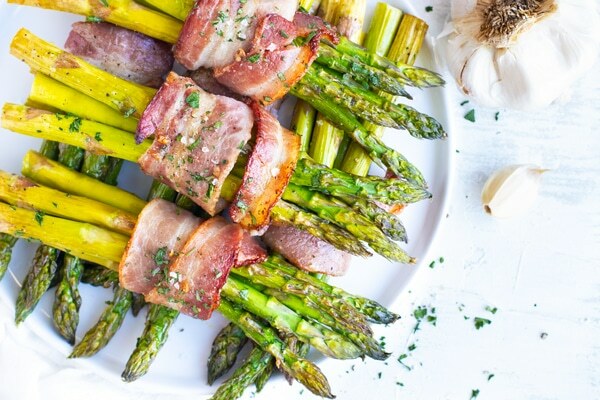 How Can You Evolve this Bacon Wrapped Asparagus Recipe? Make sure to use clarified grass-fed butter and Paleo-approved bacon if on a Paleo diet. 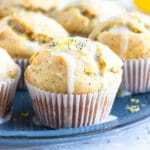 Use dairy-free butter instead of regular butter if on a dairy-free diet. Eliminate the coconut sugar completely if on Whole30 or use stevia powder if on a keto diet. Swap out the coconut sugar for any other granulated sugar if you are able to consume refined sugar. 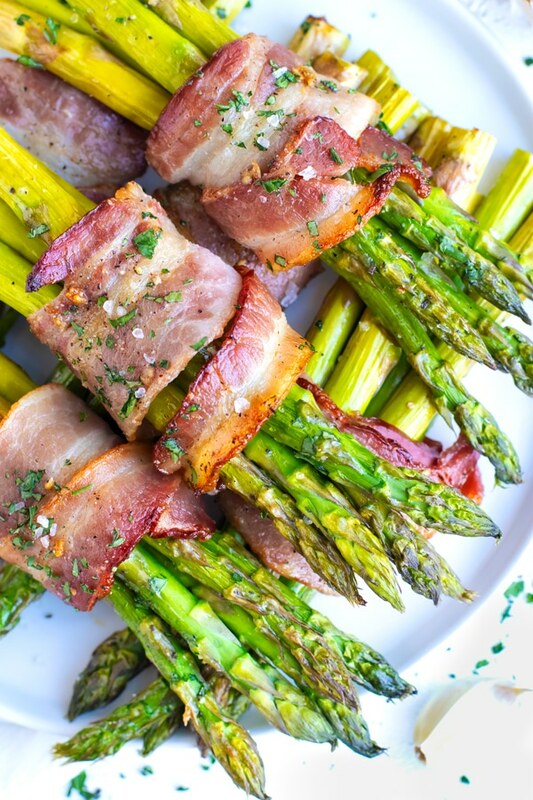 Want more recipes like this Bacon Wrapped Asparagus Recipe?